A quick Hors d’oeuvre of smoked oysters with a tasty base. 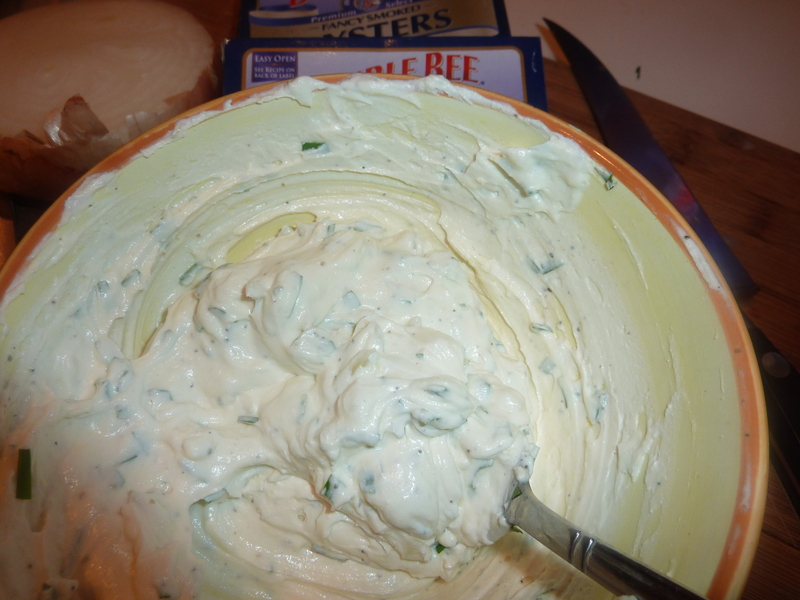 Make a cream cheese dip with flavors of chives and onion; add smoked oysters and a squeeze of lemon. I could eat them right out of the tin (and I do) but dressing them up invites many more people to the ‘oyster’ frenzy.